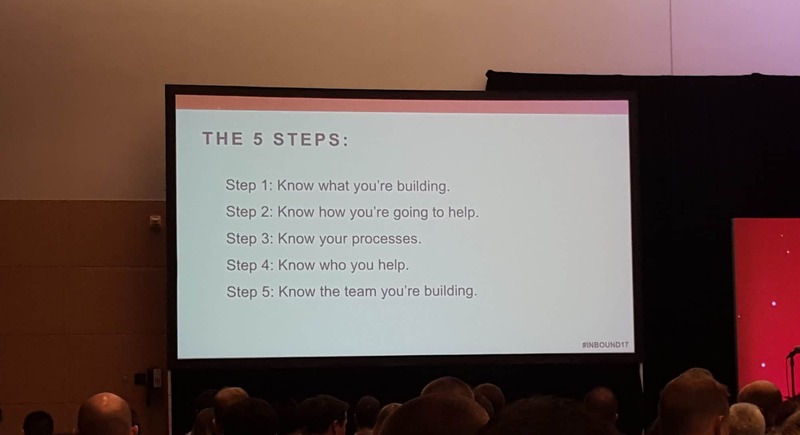 Andrew Dymski from DoInbound shared 5 tips he has learned from helping hundreds of agencies become more process-oriented. Andrew Dymski created DoInbound, a project management tool for agencies, out of frustration from running his own agency, Guavabox. Sure, there are options like Teamwork, Wrike and Basecamp out there when it comes to project management. But, Andrew found that none of them were tailored to the needs of agencies. He found that they did not help him plan his time and activities while running his agency and they got him in trouble with clients. Andrew wanted a solution that not only helped plan internal processes but also helped communicate these processes to clients. Since many clients are unsure how long different marketing and web development tasks actually take, it is hard for them to understand WHY an agency chooses to focus on specific activities. As Andrew would tell you, agencies gain a competitive advantage by being more effective at delivering the right marketing services for their client’s needs. If they struggle to release campaigns, they will not be able to use the client’s money to its maximum potential. Andrew shared 5 lessons he has learned along the way at Guavabox. Andrew has found that the biggest problem in the inbound community is that everyone wants to be like each other. Agencies will read about the actions, successes, and tactics of other agencies. Then, they will determine that these are “best practices” and try to emulate them. This is actually the biggest risk you can take. You risk becoming “just another agency”. Action: Create a written vision for where you want to go. Think about a few months in the future, a year in the future, and years in the future. If you live week to week, you will never escape the same cycle. Agency leaders face a constant struggle for attention: “working in” specific marketing campaigns to ensure their success and “working on” the business to secure its future. There are also two types of agency managers: followers and leaders. A follower listens to what the client says and executes those campaigns. A leader uses their marketing expertise to try and steer the client in the right direction. That is part of the helping process! Action: Outline the client journey. When they sign up for services, how will you execute? What services come first? How will you explain this to the client? There are 3 levels to your agency services. Deliverables are the general activities that you promise to the client. Tasks are the repeatable processes that you need to execute internally in order to deliver on what you promised. And checklists are internal guides to completing tasks effectively and efficiently. If you scrutinize all 3 levels, you can bring more reliability to your services and make better promises to clients. Action: Outline all your deliverables, tasks and checklists you will need to deliver for a successful retainer client. Have it planned so that you can set internal expectations. One huge topic in agency world is choosing a niche. Andrew recommends choosing a niche because it will bring more predictability to your services. If you accept any project that is offered to you, you will create internal process challenges, and you will lessen the chances of doing great work for clients. Action: Identify your ideal fit prospect. What industry are they in? How big? What kind of services do they need? Create a culture intentionally. This does not happen magically. Especially if you target a niche, you should not just haphazardly hire employees with an array of skills and expect that it will come together. You may want to choose hires with experience in that specific industry. Action: Create your ideal agency org chart, and fill it out with job descriptions. This will help you plan ahead. Interested in actually planning these steps at your agency? Good news! DoInbound has a preconfigured spreadsheet template to help you. Download the Agency Framework spreadsheet here.